I love giving gifts that show I put thought into it. I am not sure about your region, but around here in the south, people LOVE monograms. Monograms on your hat, your towel, your clothes, even your vehicles. I am not like some people, but I do love a nice monogram from time to time. I was excited to learn that I get to share with you that Westpoint Home is having a grand opening. They have beautiful items for the home and so many can be monogrammed!!! Just in time for the holidays! We were sent a beautiful Southern Tide Sherpa Throw that I quickly got monogrammed just for me! (I tell you, so many times I get things for the children, I was excited to get something JUST FOR ME!) That throw is so super soft and as much as I want to share, it will be for me... unless they want to cuddle up with me. Once they feel how soft it is, I am sure the problem will be getting them away from me! The throw would be a great gift idea for anyone left on your list! Have a diva in your life that you need to get a few stocking stuffer ideas for? Have you thought about the Hard Candy line of Trolls inspired goodies? Yes! Inspired by the new Trolls movie (that I need to go see) they have a line of makeup that is perfect for stockings, or even to make a gift bag full of items! These fun, easy to use Hard Candy hair chalk sticks allow you to change up your look for just one day or night, and easily wash out in the shower.Use one color all over, make streaks, or use more than one color for a beautiful rainbow effect. Are you running around like crazy yet? We are here. Between getting ready for the holidays, being a wife and mom, trying to do fun stuff with my moms group, being a room mom, basketball, a sick baby, the list goes on and on... 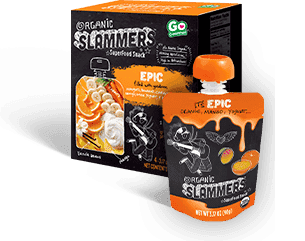 When things get hectic, I grab a Slammers Snack pouch (or pack them) and all is good to go! With my name being Noelle, you know people comment about this being my time of year. Actually, we were recently talking about making cookies and what not and I admitted that I was not a baker. They then threw out "with a festive name like Noelle, you need to bake, especially during the holidays!" Thanks to Trudeau, I will be baking with the kids this season! Have you seen all the goodies they have? Perfect for many people on your list! Trudeau really has everyone covered!!! In some instances, cousins are your best friends growing up. I know that was the case for my childhood. That is actually one of the things I dislike about where we are now. We have none of the younger cousins around for Broxton to form that bond with. I can go on and on about that for ages, but I wanted to share another blast from the past with my childhood. CARE BEARS! I guess they are still out and popular, as they just released the Care Bear and Cousins DVD!!! Perfect to go under the tree!!!! Do you give books for Christmas? We love to around here. They are great, as they are a gift that keeps on giving. The more you read, the more you know... Right? We were sent a couple cute and unusual books to add to our library and we love them. Actually, Broxton keeps going back to Goodnight Football over and over again. Talk about making a mama happy! Thanks Capstone Publishing for the chance to review new titles! Bob Hope - Hope for the Holidays! It has been YEARS since I saw Bob Hope. I remember watching him with my Nana as a child and the Bob Hope specials were great memories for us! Now, Time Life has released a DVD perfect as a gift for the older generation, or for somewhat younger ones like myself to enjoy a bit of nostalgia! I don't have this yet, so if you are looking for a surprise to send my way, know I would love it! Jack Benny, Redd Fox, Red Skelton, Bing Crosby, Naomi and Wynonna Judd, and First Lady Eleanor Roosevelt Spread Hilarity and Holiday Cheer in This Single DVD Certain to Become a Treasured Family Chestnut! As much as I love reading... I wanted to share a few titles with you from Sky Pony Press. We love the books from Sky Pony Press and I am sure you will as well! Here are a few for kids age 8-12. I believe everyone in our family likes to snack from time to time. I remember when the boys were younger and we would go pick them up to come to visit. It was like they were loaded with snacks, or needed to stop and buy snacks for the road. After they left, I would find more snack wrappers in their room... so it is real. Some like chocolate, some don't. Some like hard candy, some don't. ALL love fruit. I think I have a perfect stocking stuffer for them this year! Crispy Fruit 100% freeze dried fruit snacks!!!! Crispy Fruit has been thrown in my purse for me to snack on. It has gone to school with Broxton for lunch and it has even made a couple appearances as part of Marc's lunch too! Holiday Cards from Shutterfly has EVERYONE taken care of! If you are anything like me, you love receiving Christmas cards in the mail. I know many people now just send a text or a general facebook message, but the cards mean the most to me. I have always been that way, as a kid, I loved looking at all the cards we got and my mom would hang them up around the house. When I moved out on my own, I did the same. It seems like technology is taking that away from us now too... But not at my house! Now that I have a family, I absolutely LOVE sending cards with our photos on it to loved ones near and far. Thanks to Shutterfly, I get a great selection to choose from to make it just perfect for us! Being kind really isn't that hard, but it seems that in the world today, it is harder and harder to find people that are actually being kind. We were sent a great book by Kristi Yamaguchi that shows how a little bit of kindness can spread and even come back to you when you least expect it ! What happened to everyone being kind in the world? I know we should do it more often, but during November and December, we try and do random acts of kindness when we can. It can be something like letting someone go in front of you in line, or buying someones meal. It can be spreading cheer when you can. If you follow me on Instagram, you see that recently my mom heard of the needs our homeless shelter was dealing with. Without being asked, she went to the store and bought blankets, pillows and more for them, Just because she could. That is the example I want to be able to show my kids. It's beginning to look a lot like Christmas around here. This past weekend, we had the opportunity to have a movie night thanks to the movie, Angels sing to kick off the festivities. We made sugar cookies (and decorated them) Yeah, I need LOTS of help in the baking department, but we had fun and that is all that matters. We decorated the tree. The tree has been redecorated thanks to having a 1 year old that wants to help too. We even got a couple penguin decorations to remember the fun of this weekend as part of getting ready for the holidays. Grab Crunchies to keep you full on the go! 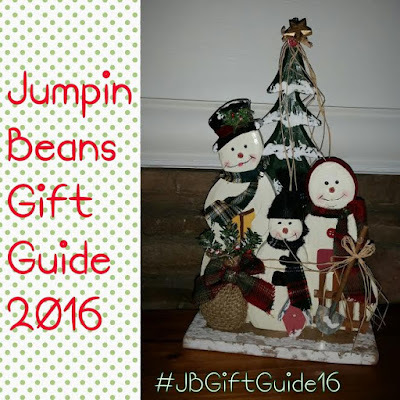 The holidays have you rushing around like crazy yet?? Maybe you are working on last minute shopping, getting ready to have people at your house or even getting ready for holiday parties and what not at school for the kids. You might not think you have time to stop and eat, but you can grab a healthy snack to munch on. We have been enjoying crunchies freeze dried fruits around here. As you know, Marc takes his lunch to work most days, so this is a nice addition for him as well. I will start by saying I am not familiar with the show The Legend of Korra at all. I have no clue anything about it, but that doesn't say much. Broxton is always coming home asking to watch a new show that he has heard classmates talk about. I know that this shows has been out for a bit, but we are lucky that we now have the COMPLETE SERIES on DVD to watch from the start. Nothing like getting into a show and missing some of the episodes!!! This DVD collection comes with all 52 episodes! Great for a huge fan! This boy keeps me on my toes, that is for sure. He was really into Ninja Turtles (you know, because his super cool uncle was as a kid...) and then BOOM- he was not into them at all. As in we got rid of all TMNT items because he was totally over it. Now, I guess they are cool again, because he can not seem to get enough of them. He has a TV in his room, but no cable. (He doesn't watch much in there, so don't go freaking out on me!) He has a DVD player, but only allowed certain shows. Know what that means? He gets SO EXCITED when TMNT has a new DVD come out. Looks like this mama is scoring cool points this holiday season as he gets a new one to unwrap! Teenage Mutant Ninja Turtles: Earth's Last Stand is out today and it sounds pretty cool to this household!